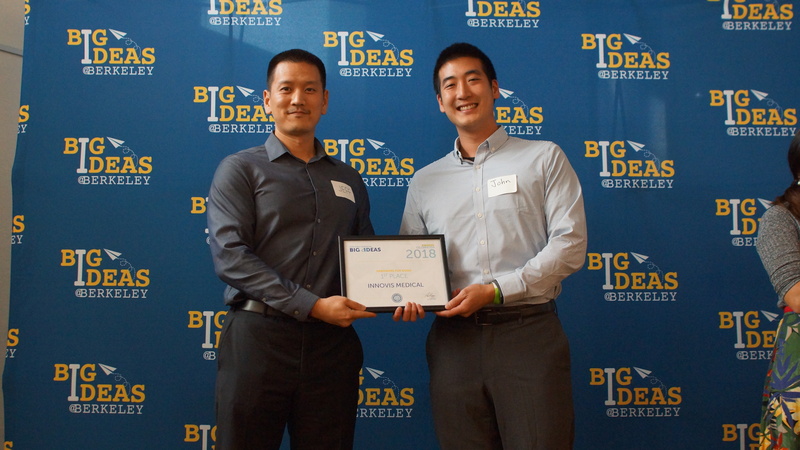 Each year the top Big Ideas teams are invited to attend the Big Ideas Grand Prize Pitch Day. Judges then select Pitch Day winners to receive an additional award, ranging from $1,000 for third place, $3,000 for second place, to $5,000 for first place. It continues to be one of the Contest’s most exciting events! Cloud-based Emergency Response System (Makerere University): The Cloud-based Emergency Response System (CERS) enables real time matching of ambulances to patients in Uganda, allowing for maximum utilization of the limited resources that exist. CERS has the potential to impact 40,000 Ugandans who do not make it to the hospital within the “golden hour” by providing a fast, safe and appropriate transport means. Intelligent Bugs Mapping and Wiping (UC Merced): Intelligent Bugs Mapping and Wiping (iBMW) is developing a robot to perform pest population spatial distribution and “surgical precision spraying” for pest wipeout. The iBMW is an affordable (less than $1,000) unmanned ground vehicle that uses deep learning neural networks to recognize and spatially map pests. Their goal is to help farmers protect their crops and livelihoods, while also helping the environment by reducing the level of pesticide spraying. Isochoric Preservation System (UC Berkeley): Of the over 114,000 patients in the United States on the national transplant list, twenty die every day while waiting for an organ transplant. The team has developed an isochoric cryopreservation chamber that is capable of preserving live organs for longer periods of time. Extending this viability from 4 to 6 hours to 48 hours will transform the accessibility and affordability of organ transplantation, and prevent up to 30% of all deaths in the US. 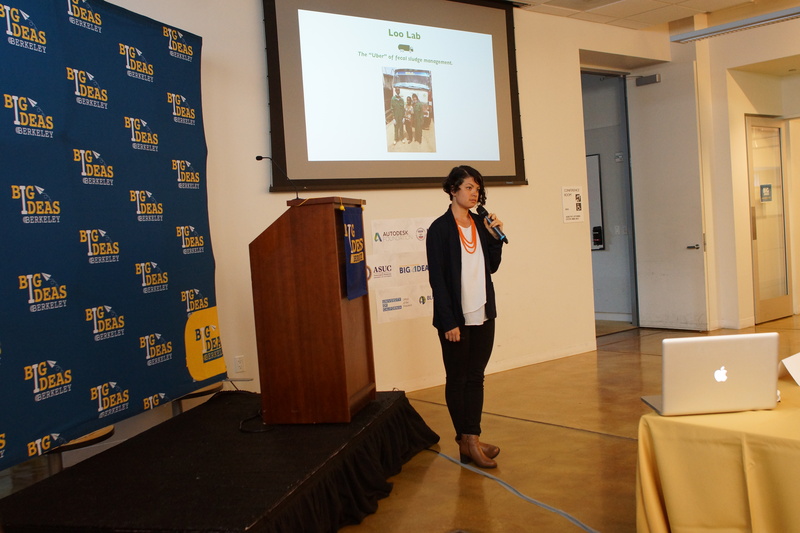 Kaloum Bankhi (UC Berkeley): Kaloum Bankhi’s mission is to ensure every resident in Kaloum, Guinea lives in a durable home. To realize this goal, the project takes a multi-faceted approach, innovating the physical design and financial mechanism. The house is designed to be built in stages, which allows residents to remain in their own home during a progressive transformation. Guinean culture is celebrated with this alternative housing solution that is built by a community, for a community. Qloak (UC Berkeley): As a result of the current social and political climate, the LGBTQ+ community has found it increasingly difficult to find safe spaces. Qloak serves as a hub for knowledge about spaces that have been proven to support the LGBTQ+ community, including such categories as Work (jobs), Play (bars and entertainment), Spend (businesses), and Resources (doctors, counselors, etc). Cultivating knowledge of these spaces is necessary in order to foster a sense of belonging and security. RePurpose Energy (UC Davis): California will have 5 million electric vehicles on its roads by 2030. Recycling their batteries is expensive, but reuse is economical; over 75% of an EV battery’s original capacity typically remains at the end of its useful life in a vehicle. RePurpose Energy tests, reassembles, and redeploys used electric vehicle batteries to provide commercial solar developers with energy storage solutions at half the cost of new battery alternatives, so they can offer more electricity bill savings, and California can accomplish its bold clean energy goals. Respira Labs (UC Berkeley): Today, Chronic Obstructive Pulmonary Disease (COPD) affects 25 million Americans and costs the healthcare system nearly $50 billion a year. Respira Labs’ COPD management platform is based on a novel technology which captures personalized lung volume profiles based on resonance and uses intelligent algorithms to flag patients in danger before acute symptoms arise, enabling home-based intervention, cutting hospital readmission costs, and reducing provider and payer healthcare bills. 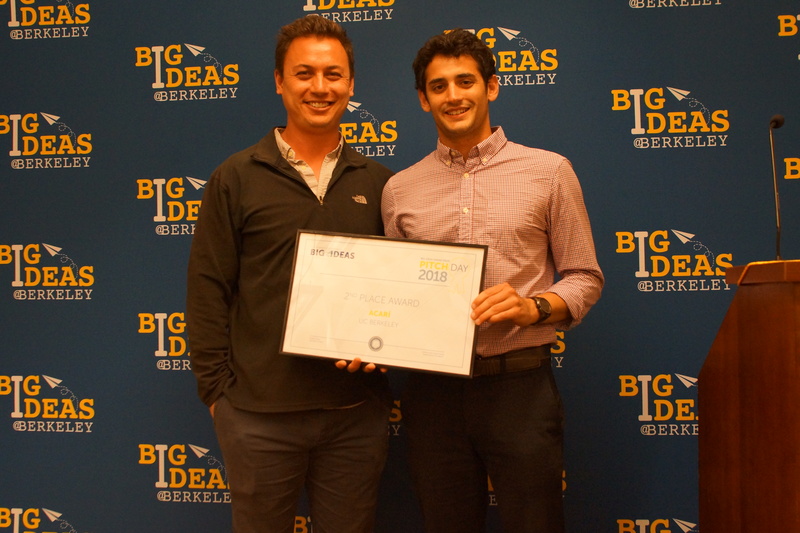 The 2018 Grand Prize Pitch Day was held on Wednesday, April 25th, at UC Berkeley’s Blum Hall. Pitch Day finalist teams delivered four-minute pitches followed by a question and answer session with the judges. Judges included representatives from The Rockefeller Foundation, VentureWell, Autodesk Foundation and USAID. To learn more about the winners and watch their pitches, click on the links provided below. 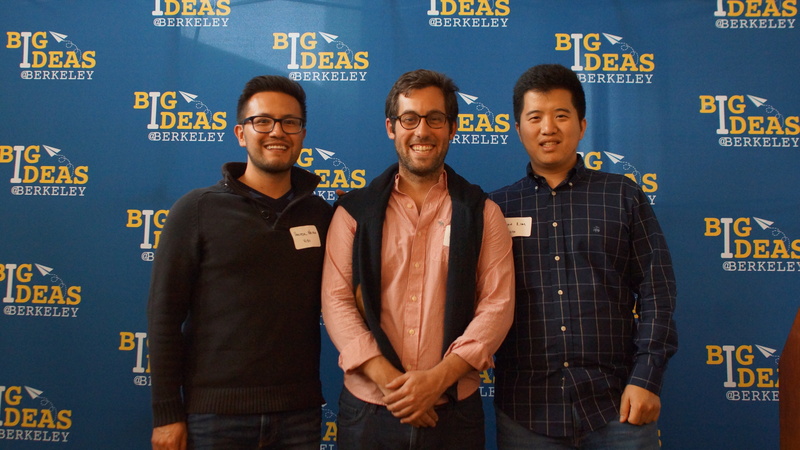 Loo Lab (1st Place): A smart technology streamlining operations between pit latrine disposal companies and underserved communities to increase services and reduce costs in Rwanda. Acarí (2nd Place): Transforming the hated and feared “devil fish”, invasive to Mexico, into tasty, nutritious, products to increase employment in rural fishing communities. 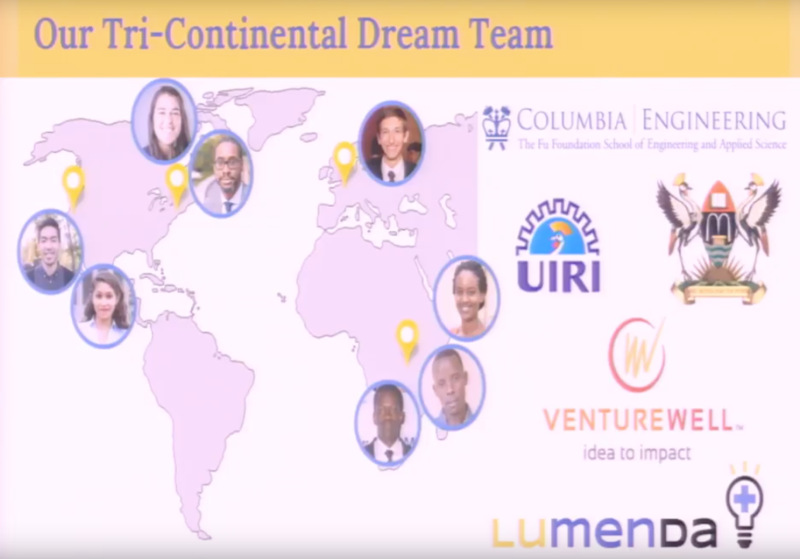 LUMENDA (3rd Place): An affordable and portable device for rapidly and accurately diagnosing neonatal bacterial meningitis in low resource settings. Hiven (Finalist): A community marketplace for micro-renting home workspaces, providing convenient and affordable workplaces for guests, and revenue for hosts. Innovis Medical (Finalist): A blood monitoring technology enabling rapid point-of-care treatment for military and civilian trauma care. VIDI (Finalist): A smart system leveraging computer vision to track surgical tools, reducing costs while increasing hospital efficiency and minimizing medical errors.